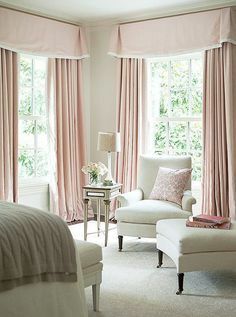 Drapery Design - Five Ways to Refresh Your Home for Spring! Spring is here! Can you believe this crazy winter is finally coming to an end?! Spring is, of course, the best time to redecorate your home. We’ve looked at the latest interior design trends and came up with Five Ways to Refresh Your Home for Spring! These simple updates will breathe new life into your home. With so many exciting trends to explore you’ll definitely find something you love! 1) Tape Trims: Flat tape trims are stylish and trendy! They come in a variety of patterns and designs. 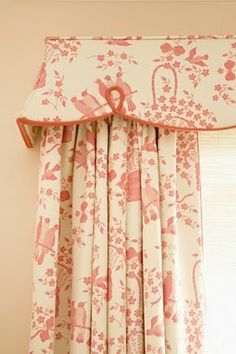 Add tape trim to an existing solid drapery for an easy update! 2) Wallpaper: Wallpaper is back and better than ever! Create an accent wall with a bold pattern or paper the ceiling for stunning visual impact! 3) Large Scale Patterns: Large scale patterns are hot! These oversized designs are sure to make an impact in your home. Spruce up your bedroom with an upholstered fabric headboard in a bold print! 4) Brights: Brights are the perfect embellishment for Spring! Add brights to your home with accessories like pillows and lamps or upholster an old piece of furniture with a bright fabric! 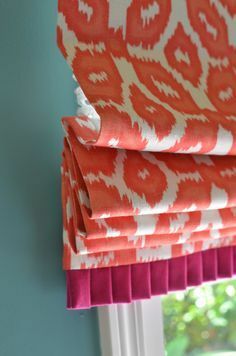 5) Color Blocking: You may have heard of color blocking in clothing design but did you know you can color block in window fashions? 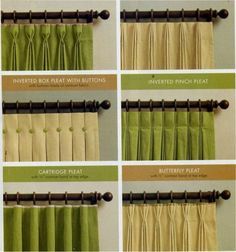 Update your windows with color block draperies for a trendy sophisticated look! What will you update this Spring?